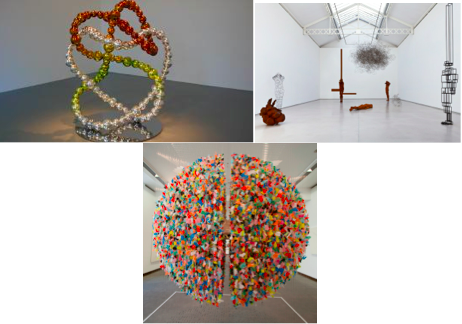 Here is a sampling of the galleries we will visit. The actual itinerary will be based on client’s interest and the most exciting exhibitions at the time. Each tour will last for two hours. 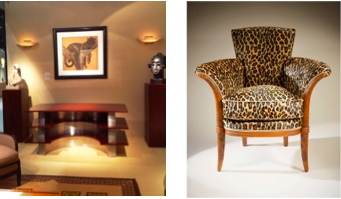 The tour will cover the historical roots of the Art Deco movement and its extraordinary development set against the backdrop of the rich tradition of decorative art in Paris. A selection of galleries we will visit will include Galeries Marcihac, Willy Huybrechts, Dutko, Mathivet and Arc en Seine. Close to the Louvre and the Palais Royale in the elegant 1st arrondissement are a small group of Collectible Design galleries including Patrick Fourtin, Eric Philippe and Passebon gallery. Time permitting, we will also pass through the magnificent Palais Royale Gardens and discuss the 17th century architecture. 3. MID CENTURY MODERN IN SAINT GERMAIN DES PRES: HOW DESIGNERS ROSE TO THE CHALLENGE OF A CHANGING WORLD AND NEW EXPECTATIONS. 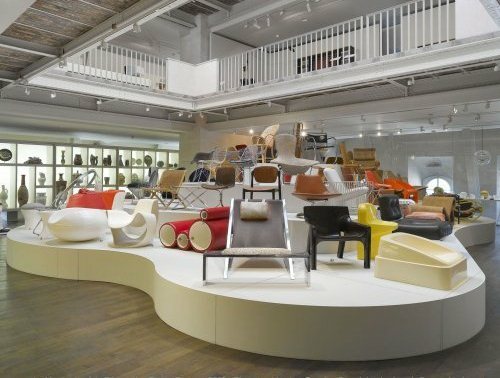 This tour will cover the rich period of creativity of mid 20th century designers who were faced with the challenge of the changing needs of society after the Wars. They created pieces that were functional and which, while employing the new manufacturing technologies, maintained their aesthetic qualities. Among the galleries we will visit will be Downtown, Jacques Lacoste, Mathieu Richard, Jousse Enterprise, Pascale Cusinier and Yves Gastou. 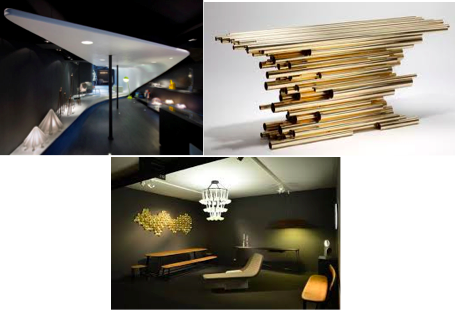 The contemporary design scene is flourishing in Paris and for this tour we will be visiting such renowned galleries as Maria Wettergren, Kreo and Cat-Berro. 5. 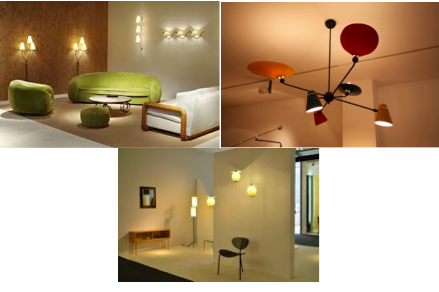 MID CENTURY AND CONTEMPORARY DESIGN IN THE ‘CARRE RIVE GAUCHE’: EXCITING DESIGN GALLERIES ON THE BANKS OF THE SEINE. During this tour clients will visit the exciting works exhibited in the Galeries Diane de Polignac, Chahan Minassian and RCM, among others, in the Carré Rive Gauche area on the Left Bank. Rich in avant garde contemporary art and design galleries, Le Marais is one of the oldest and most historic of the districts in Paris. Nestled among the 15th century buildings and elegant squares, clients will see the cutting edge work exhibited in Galeries BSL, Gosserez, Hervé van der Straeten and Armel Soyer. The world renowned galleries Thaddeus Roppac, Emmanuele Perrotin, Karsten Greve, Marion Goodman, Yves Lambert and Almine Rech always have thought-provoking exhibitions for the contemporary art enthusiast and collector alike. We will visit these galleries on this tour depending on special current exhibitions. With a vast collection of over 150,000 objects encompassing the decorative arts from the Middle Ages to the present day, this museum is unique in its panoramic view of the history of the decorative arts. The ten period rooms, including that of Jeanne Lanvin transferred from her residence on Rue Barbet Jouy, are exceptional along with important collections of 19th and 20th century furniture. On this tour, clients will get an overall view of the 20th century and contemporary history of the decorative arts and a unique opportunity to see landmark masterpieces of design. *Please note that the Museum is closed on Mondays. Les Puces, the fabled maze of hidden treasures from France’s past continues to surprise and inspire visitors. New stands appear each season and more 20th century fashion and design specialists are taking their place with very carefully displayed wares, next to the more established antique stands. There is so much to see! 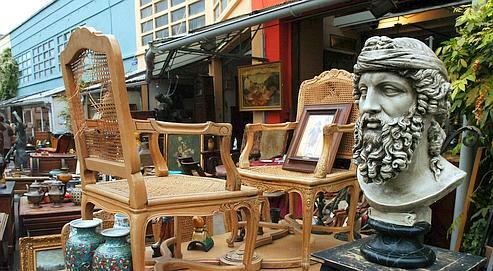 With more than 16 different markets and myriad brocanteurs, from the new Village Vintage with Mademoiselle Steinitz and L’Eclaireur, to the refurbished Marche Paul Bert and the much anticipated contemporary art space Galerie Yvon Lambert, you need a guide to get make the most out of your visit. Knowing the new spots is just the first step. We will not only guide you to the best destinations but also share knowledge of the objects and design market. We offer tailored tours for your schedule and interests ranging from a highlights tour that shows the range and breadth of this dynamic market to a targeted shopping trip for those on the hunt for a special object. In this case we can meet with you ahead of time to discuss your goals and then map out a program in order to maximize your time. We photograph and document works you like and send you the details. We can handle the shipping for you on any purchases. Remember the market is only open Friday through Sunday.